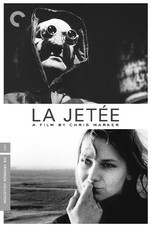 The last few years have seen a growing availability of Chris Marker’s films, initially via pirate uploads to YouTube and an underground culture in subtitles, Criterion’s essential pairing of La Jetée and Sans Soleil, then online at streaming sites like MUBI, followed more recently by the great coffret of Planète Marker by Arte (to complement the Pompidou exhibition & retrospective). Other French DVD releases were unveiled, such as the remastered Le Joli Mai (Arte again), Argos’ Level Five, Lettre de Sibérie and Dimanche à Pékin, and the remastered Loin de Vietnam (Arte). Icarus had also done a great job with Grin Without a Cat, Remembrance of Things to Come, The Case of the Grinning Cat, The Last Bolshevik and The Sixth Side of the Pentagon. Still, English speakers had discovered and embraced Marker, and wanted more. Then came Whitechapel. The current exhibition in London has prompted the box set of films by Soda Pictures, a most welcome release just shy of a month away. And now news has surfaced of the release on iTunes of some key Marker films, the details of which are below. It is said of American tourists that the first thing they ask of hotels in Paris is a WiFi connection, so it is fitting that we get – setting aside the indispensable Criterion & Icarus releases – our media via broadband. Before too long and before any eschatelogical events, we hope to have within reach of our eyes and ears a more complete collection of the many masterpieces by Marker, in English, German, Spanish, Japanese, Hungarian, Tibetan, Mongolian… Prais the digital dieties and the Babel of languages and enjoy! Please note: all plot summaries below reproduced from Apple’s site. Sosume. 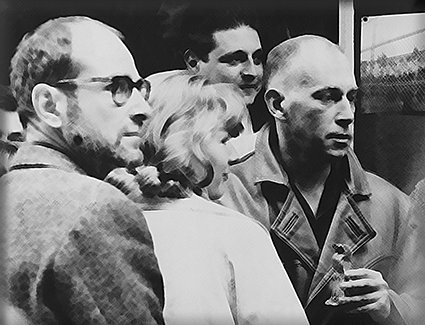 In 1967, Chris Marker and Mario Marret (under the aegis of SLON) produced À Bientôt J’espère, which documented a strike and factory occupation—the first in France since 1936—by textile workers at the Rhodiaceta textile plant in Besançon, the goals of which prefigured many of the demands that would come to define May 1968. Many of the Rhodiaceta workers who had collaborated with Marker and Marret on the film were unhappy with the final production. In response, Marker and other SLON filmmakers reorganized their efforts to begin training workers to collaboratively produce their own films under the name “The Medvedkin Group,” after the Russian filmmaker Marker would later memorialize in The Last Bolshevik. 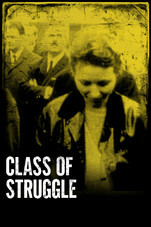 Class of Struggle is their first production. Picking up in Besançon a year after the events depicted in À Bientôt J’espère, the film focuses on agitation by workers at the Yema Watch Factory, particularly the efforts of one recently radicalized worker, Suzanne Zedet. Zedet describes her political activity, and the punishments issued in response by the factory management. She also articulates the radical scope of her and her fellow workers’ demands, which go beyond higher wages and better benefits, and reflect a desire to reorganize the country’s economy and social order. One of those demands is access to culture and to the tools of cultural production. The film itself is one attempt to meet this demand, and we see the workers editing and developing film under a banner that reads: “Cinema is not magic; it is a technique and a science, a technique born from science and put in service of a will: the will of workers to liberate themselves.” One of the most radical films produced in an era defined by radicalism, Class of Struggle reflects this will to liberation. 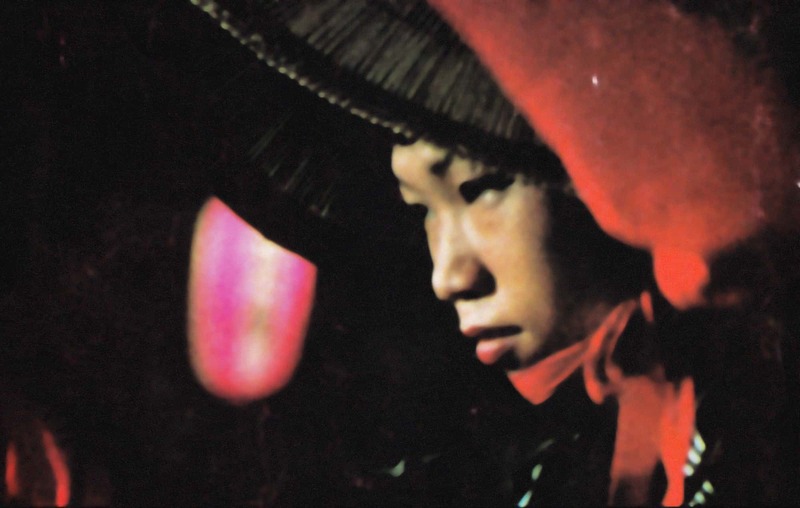 Initiated and edited by Chris Marker, Far from Vietnam is an epic 1967 collaboration between cinema greats Jean-Luc Godard, Joris Ivens, William Klein, Claude Lelouch, and Alain Resnais in protest of American military involvement in Vietnam – made, per Marker’s narration, “to affirm, by the exercise of their craft, their solidarity with the Vietnamese people in struggle against aggression.” A truly collaborative effort, the film brings together an array of stylistically disparate contributions, none individually credited, under a unified editorial vision. The elements span documentary footage shot in North and South Vietnam and at anti-war demonstrations in the United States; a fictional vignette and a monologue that dramatize the self-interrogation of European intellectuals; interviews with Fidel Castro and Anne Morrison, widow of Norman Morrison, the Quaker pacifist who burned himself alive on the steps of the White House in 1965; an historical overview of the conflict; reflections from French journalist Michèle Ray; and a range of repurposed media material. 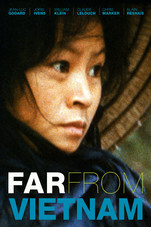 Passionately critical and self-critical, and as bold in form as it is in rhetoric, Far from Vietnam is a milestone in political documentary and in the French cinema. Chris Marker, filmmaker, poet, novelist, photographer, editor, and now videographer and digital multimedia artist, has been challenging moviegoers, philosophers, and himself for years with his complex queries about time, memory, and the rapid advancement of life on this planet. Marker’s La Jetée is one of the most influential, radical science-fiction films ever made, a tale of time travel told in still images. Le Joli Mai is a portrait of Paris and Parisians during May 1962. 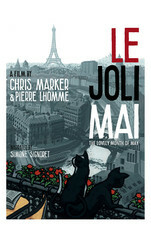 It is a film with several thousand actors including a poet, a student, an owl, a housewife, a stockbroker, competitive dancer, two lovers, General de Gaulle and several cats.Filmed just after the March ceasefire between France and Algeria, Le Joli Mai documents Paris during a turning point in French history: the first time since 1939 that France was not involved in any war. Part I, “A Prayer from the Eiffel Tower,” documents personal attitudes and feelings around Paris. A salesman feels free only when he is driving his car, and then only if there is not too much traffic. A working-class mother of eight has just gotten the larger apartment that she had been wanting for years. The space capsule of American astronaut John Glenn is examined by a group of admiring children. Two investors talk about their careers and adventures. A couple who have been in love since their teens discuss the possibility of eternal happiness. At a middle class wedding banquet, the guests are raucous while the bride is quiet, dignified and reserved. Part II, “The Return of Fantomas,” is an investigation of the political and social life of the city. Marker and Lhomme alternate between public events and private discussions: the former focusing on the Algerian situation, such as a funeral for people killed in Paris street demonstrations after the Algerian settlement. Meanwhile, the latter includes a conversation with two girls about the state of France; a meeting with a pair of engineers who describe the potential of the current technological revolution; an African student who discusses his own response to the French and the Parisians’ reaction to his skin color; a worker-priest forced to choose between the Church and his fellow workers; and an Algerian worker describing conflict he has experienced with native Frenchmen. The film ends with sweeping views of Paris, the façades of its prisons, and the faces of its people as they struggle to make sense of their moment in history. I only had that one chance to see A Valparaiso projected. I’ve never had a chance to see most of his films, and others only many years after their original release. The political censorship we face in the United States has allowed only his more melancholy films, such as Sans Soleil, to pass, while stopping his optimistic films, such as Sunday in Peking, If I Had Four Camels and Cuba Sí!. Others were delayed until their usefulness had vanished. Alas, they are restricted to itunes.com (US) and not available to the UK. It should be noted that Marker was responsible himself for the English names of his films, so he may have gone in a more playful direction, but hardly likely less politicized.